**This class is now full! Hand applique a beautiful Baltimore Album quilt, one block at a time, learning new skills each month. In addition, Kathy will show you the tips and tricks she's learned to improve on your skills. You'll have the opportunity to stitch in each class, and the ability to have any questions or difficulties addressed. 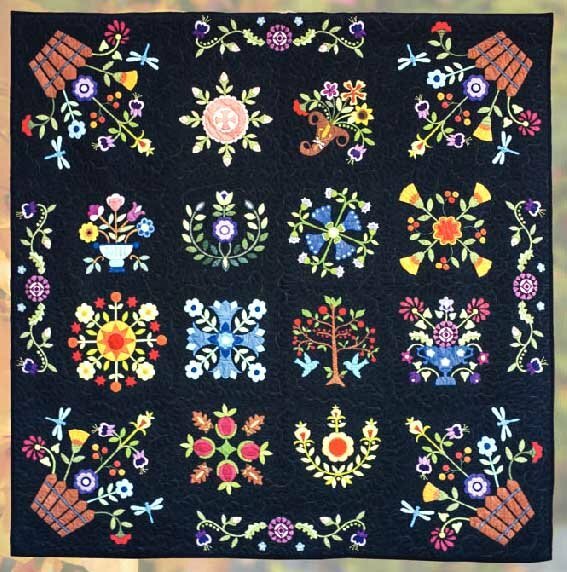 At the end of the class, you'll have a fairly complete knowledge of hand applique!